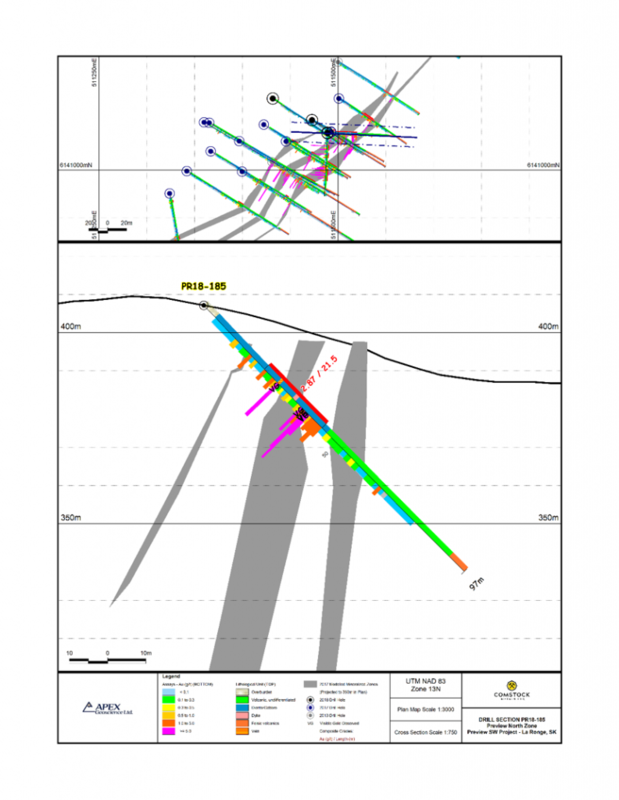 Vancouver, BC – January 31, 2019 – Comstock Metals Ltd. (TSX-V: CSL) (“Comstock” or the “Company“) is pleased to report the results from the winter diamond drilling program at its 100% owned Preview SW gold project, located 40 km northeast of La Ronge, Saskatchewan. 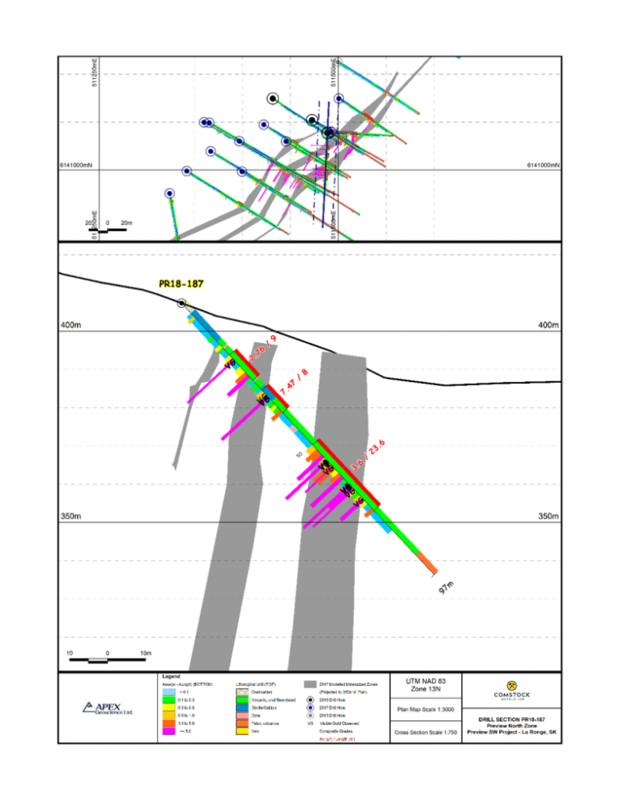 These results are from 5 NQ diameter drill holes, totalling 810 metres, completed at the Preview North zone (“Preview North”). 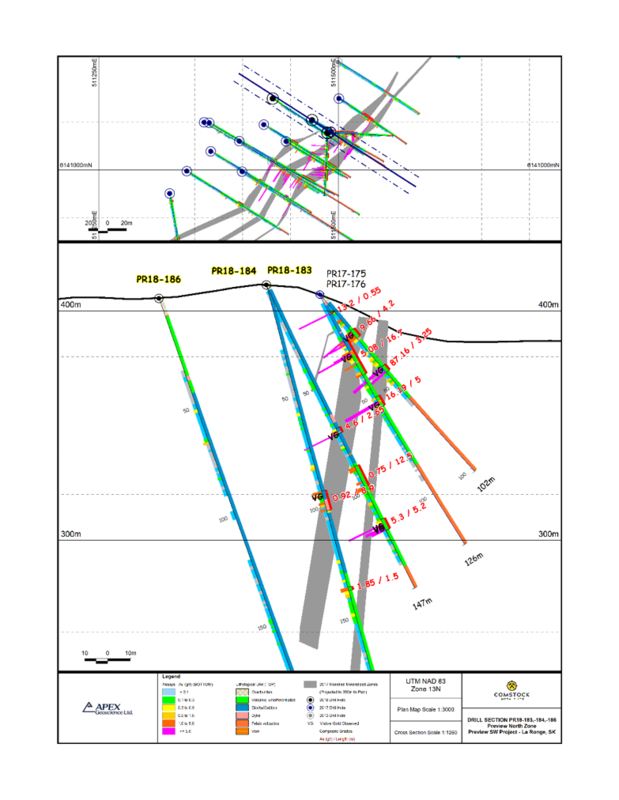 “We are very pleased with the results from ourwinter drilling program at Preview North. 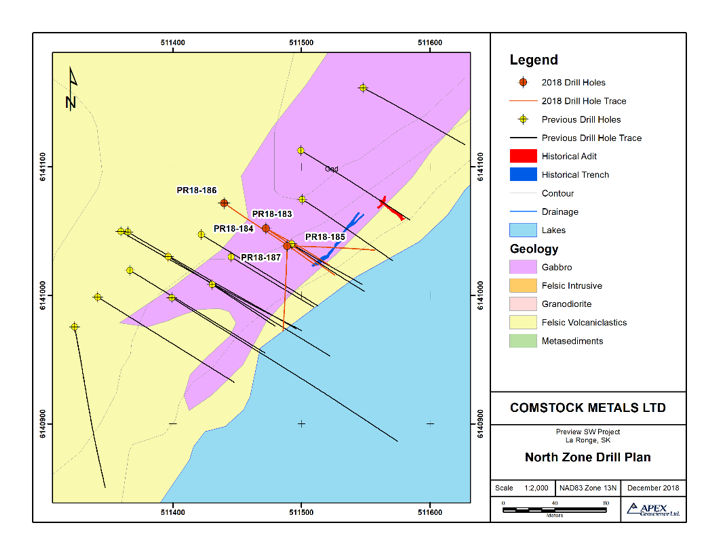 The discovery of multiple occurrences of visible gold in 4 of the 5 holes drilled with corresponding high-grade intercepts continues to validate the Company’s Preview North zone exploration strategy”, commented Comstock’s Interim CEO Steven H. Goldman. The Preview North zone is located approximately 2.6 km northeast of the Preview SW depositwhich hosts Indicated resources containing 158,300 ounces of gold (2.61 million tonnes grading 1.89 g/t Au) and Inferred resources containing 270,800 ounces of gold (5.70 million tonnes grading 1.48 g/t Au)1, both based on a 0.50 g/t Au cut-off grade (see Comstock’s news release dated September 14, 2016). 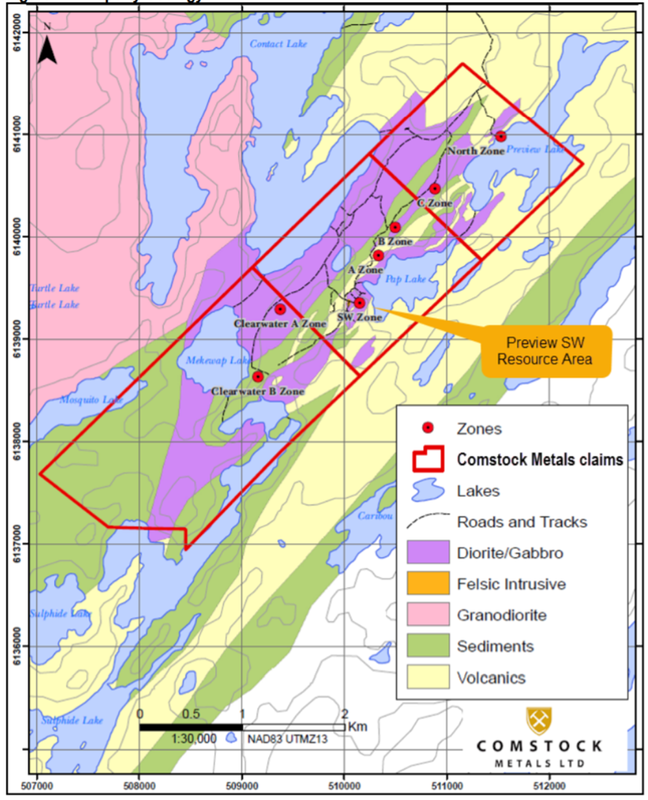 Comstock Metals Ltd. is an exploration company with several resource projects located in North America. Presently evaluating opportunities in the battery metal space Comstock recently secured the Rawhide Cobalt-Silver Project in Ontario adding to its two gold projects: Preview SW Project in Saskatchewan and the QV Project located in the White Gold district of the Yukon. Comstock recently announced the sale of its QV Project to White Gold Corp. (TSX.V: WGO). (See Comstock’s press release dated January 14, 2019).